Green Brain Comics is hosting Josef Bastian and Carl Winan, creators of the Nain Rouge Graphic Novel, just in time to help Detroit celebrate the removal of the spirit from the city. Bastian and Winan will be at the East Dearborn store, 13936 Michigan Avenue, Sat. from Noon to 2 p.m. The store has recently moved into the old Hewlett’s Music building. Bastian is the writer of the series of books and the comic adaptation, while Winan is the graphic designer for the graphic novel. 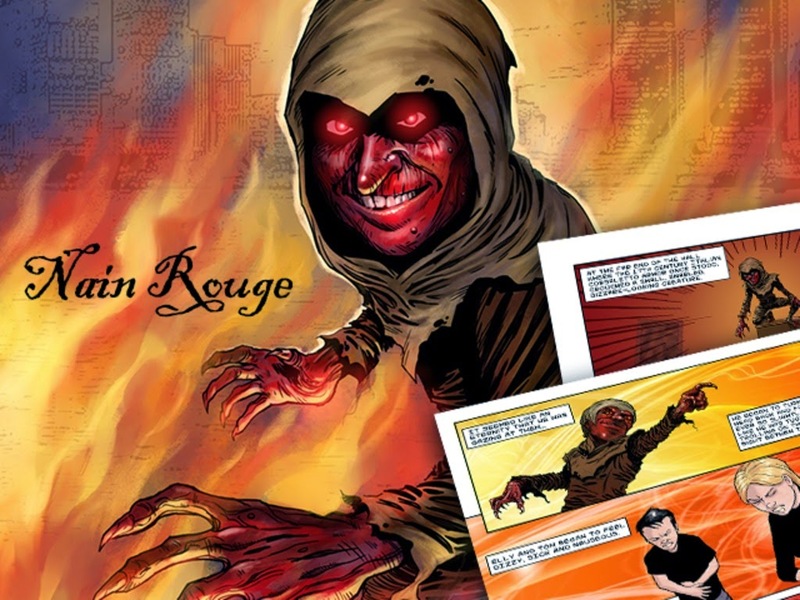 The Nain Rouge Graphic Novel, was richly illustrated by renowned comic book artist, Patrick McEvoy, was written long before Detroit’s current economic woes. It is based in a financially challenged Detroit and centers around the 300-hundred year old legend of a red dwarf who appears as a harbinger of doom, often before negative events. Two teen friends learn of his curse and seek to drive him from the city with the power of positive thought and action. Originally a series of novels the Nain Rouge is now a successfully "Kickstarted" graphic novel, and soon a feature film. I’ve always been one to try interesting and new sports, or at least to watch them. You could say it’s the thrill of competition, or the thirst of knowledge to learn about something new, I’m not really sure. One thing is for sure though, Fowling is a heck of a lot of fun. So much fun that I implore everyone to give it a try. What is Fowling you ask? Well it’s not that hard to explain actually. It’s football, it’s bowling, it’s a lot of fun all rolled into one. Saturday night myself and three friends decided to try our hands at Fowling, which for the uninitiated, it rhymes with bowling. We all went in with little knowledge of what to expect, in fact at least one in the group thought we’d be using feathers. We arrived, paid our nominal fee, and got set to fowl. We grabbed a ball, which turned out to be in less than good condition, and set out to the only open lane in the place. I grabbed the tattered and torn pigskin and let it fly. The ball landed smack in the middle of the lane and knocked over six pins. It was love at first fowl. From there on, it took about 15 minutes to run through the game, as it got tougher to hit the pins standing alone after clearing out some of the other pins. In the end, I took the first game, and the second playing myself against two others. That’s when our fourth arrived. She joined my team, and we managed a tie in the that game. The tie was only a technicality though, the other team had their last three pins knocked over by an errant football from another lane, and on the final throw I managed to snag our last pin to salvage the tie. That’s when we took a break to catch our breath. 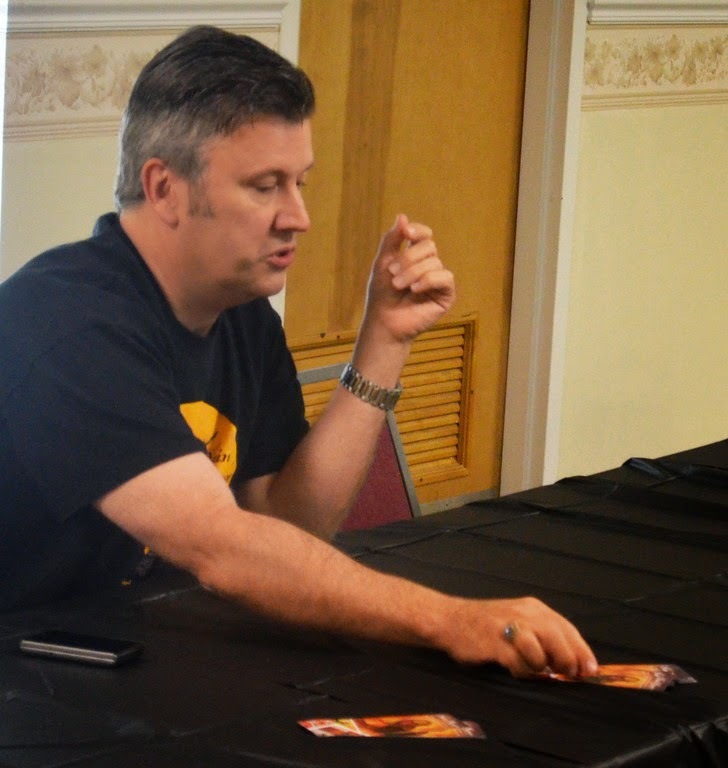 While sitting at some of tables and enjoying a drink, Chris Hutt, the game’s founder, came over and introduced himself to else. He spoke with us for a few minutes, during which time we discovered that at the bottom of each bottom-filled plastic cup was a Fowling magnet to be taken home as a souvenir. After that it was game time again. We switched up the teams (after all, I had to let others have a chance to be on my team and win), and my new teammate and I won a pair of games before most of us have sore arms and decided it was time to go. The genius of the game is in it’s simplicity. There are few rules, and no scorekeeping. Just be the first team to knock down all of the other team’s pins. The setup is simple, two sets of pins are set up on a platform 42 inches wide and 8 feet long. The platform is made out of 2x4s and plywood. Pins are arranged just like in a bowling alley, and each platform is 48 feet apart. Men have to throw from behind the board, and ladies can throw up to the front of board. Pins are removed after they are knocked down. The only other rule is throwing a “Bonk,” which is knocking down the other team’s five pin without touching any of the other pins. That happened once while we were there. When that happens, the player that threw the “Bonk” gets to blow a freighter horn that is loud enough to drown out any other noise in the building. Anyone that wants to find out more about Fowling can visit, WhatIsFowling.com, or contact the Fowling Warehouse at 1-313-264-1288. The Warehouse is located at 3901 Christopher Street in Hamtramck. In her new novlette, Ypsilanti-based author Sunshine Welch tells the true tale of what it took to be a single mother. The book, “What It Took to Raise My Daughter,” is a 36-page paperback in which Welch writes about supporting herself and her daughter for several years as a dancer and then a medical assistant. 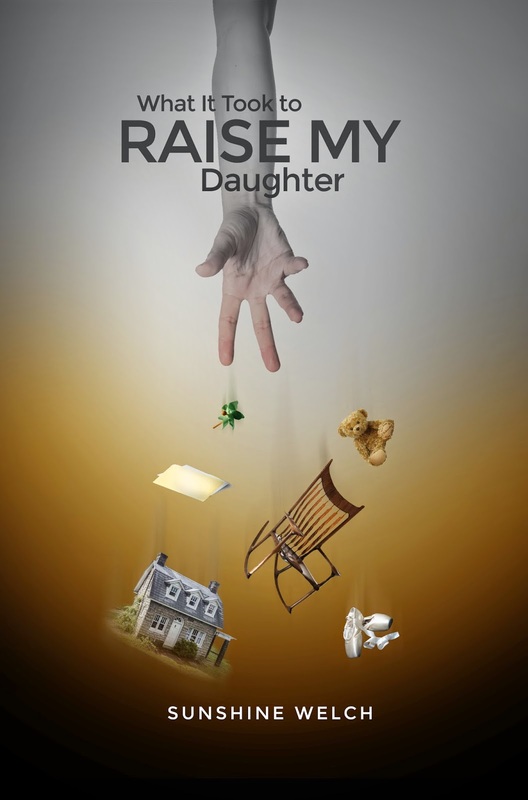 A string of circumstances led to the author confronting a period of homelessness and being forced to live separate from her daughter for a time. While she despaired at times, she continually sought to regain stability in order to maintain her relationship with her child. Welch still lives in the area, where she continues to write, and enjoys the outdoors, music and spending time with her family. She lives with her three dogs and visits with her daughter during breaks from college. The book retails for $8 and is available at DorranceBookstore.com. Just a few short months ago cancer was beginning to take its toll on 7-year-old Caiden Miller of Wyandotte. The energetic boy lost some of his pep, but after completing six rounds of chemotherapy, it’s hard to tell he was ever sick. That was especially true Friday afternoon when he and his family had the opportunity to get up close and personal with monster trucks that were in town for the Monster Jam event at Ford Field the following day. Caiden got a preview of the Monster Jam excitement by getting invited to meet Tom Meents, the most successful competitor of the Monster Jam World Finals era, and the sports only 11-time world champion. The event was made possible through a collaboration between Lady Jane’s Wicked Awesome Wishes and Feld Motor Sports. Caiden was diagnosed last July with non-Hodgkins Burkitt Lymphoma, a rare and aggressive form of cancer. Within hours of his diagnosis, Caiden was rushed into surgery and immediately started a long battle for his life. But the good news, according to family members, is the cancer was detected early enough and he responded to the treatment so well that today the prognosis looks good. While still too early to know for certain, his condition will continue to be monitored for the next several months to ensure cancer does not return. The original plan was for Caiden to see Grave Digger, considered by most fans of the sport to be the most popular of the monster trucks. But according to Tom Wegehaupt, a spokesman with Feld Entertainment, weather-related issues delayed the truck’s arrival. However, that wasn’t an issue for Caiden, who was thrilled to meet Meents, who drives the Maximum Destruction, or “Max-D” monster truck. Meents surprised everyone at the meet-and-greet when he lifted the boy into the truck with the gigantic wheels and put him in the driver’s seat, which resulted in a grin on the boy’s face that extended from ear to ear. Even his mothers, Crystal Miller and Heather McBride, said they had no idea their son would get an opportunity to get inside the truck. Meents allowed the boy to turn the truck’s wheels, which resulted in a loud sound that startled onlookers. “I did that!,” he shouted down to his friends and family, which included his 8-year-old sister, Riley, also a big fan of monster trucks. Caiden’s pronouncement was followed by a warning from Meents for people to step back because the boy appeared ready to drive. While the boy didn’t actually operate the monster truck, he seemed to relish the experience of seeing one so close and talking to its driver. He also wasn’t shy behind the camera, as TV crews found an excited and talkative interviewee. Among the onlookers was Tony Thomson, a good friend of Meents who lives in Burlington, Iowa. He made the trip to Detroit to learn what his friend goes through, adding that he’s sore from helping Meents move the huge wheels that have to be taken off each time the truck is placed in a trailer for transport. Meents, a native of Paxton, Illinois, exudes a small-town charm that makes him popular with his fans. Contact Staff Writer Jim Kasuba at 734-246-0881 or jimk@heritage.com. Follow him on Facebook and @JKasuba on Twitter.